The domestic season is nearly at an end and on Saturday Toulon saw off Saracens to claim their second Heineken Cup in as many years. Monday Maul looks back at the weekend's talking points. As Stuart Lancaster watched on as Armitage picked up yet another Man of the Match award, you have to wonder whether the fleeting image of the Toulon No.8 in an England shirt flashed in front of his eyes. Armitage is making enough noise that eventually Lancaster may just have to entertain the idea of an international recall. It is a difficult issue. The RFU's policy of not picking overseas players has helped keep talent in the Aviva Premiership. But if England stand a better chance of winning the World Cup with Armitage in the mix, then you wonder if they have to sacrifice pride and policy for player. The issue has provoked differing opinions from some of the game's more vocal ex-players. Sir Clive Woodward believes it is time for Armitage to be brought back in from the cold, writing in his column for the Daily Mail: "On the form he has shown this season, Armitage must be picked by England. Even in a team of galacticos at Toulon, he is one of the go-to players." Brian Moore argues to the contrary in the Daily Telegraph saying you cannot make an exception from the RFU's stance for one player who might be playing well and says if Armitage does want to play for England, then he should leave Toulon. For Lancaster there are wider considerations of player release for training camps and whether Armitage will buy into the culture he has tirelessly installed in this time. Either way, it is likely we will only find out how keen Lancaster is to bring Armitage back if an untimely injury befalls Chris Robshaw. Only then will we find out if Armitage is an "exceptional circumstance". It would be insane of Stuart Lancaster NOT to take Steffon Armitage to New Zealand. 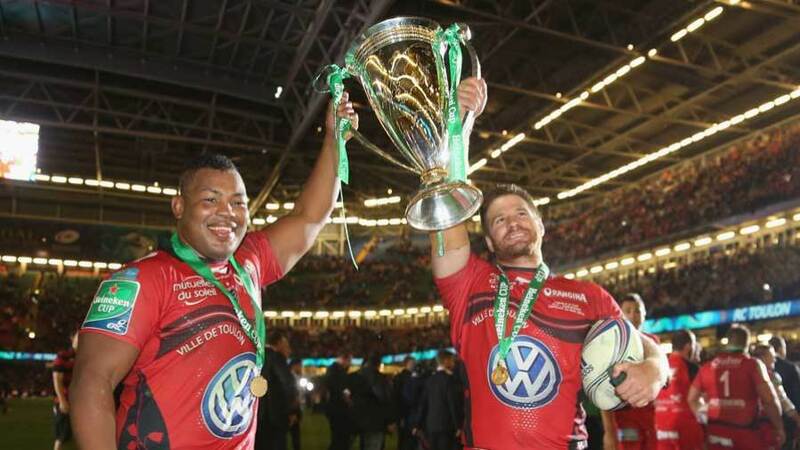 Winning one Heineken Cup is impressive, claiming two in as many years is an incredible feat. Toulon have been labelled mercenaries in the past, but while money can buy you players, it cannot guarantee team spirit and unity. Toulon have that. They now need to cope with the departure of Jonny Wilkinson, someone who has been absolutely key to their recent success. He preaches the gospel of Toulon whenever handed the opportunity and it is great news for them that he is staying as part of their backroom staff but they will need to find a new on-field leader. There will be enough candidates ready to step up when you have players of the calibre of Juan Martin Fernandez Lobbe in the team but Wilkinson's presence is a fiendishly difficult thing to replace. While Toulon received plenty of plaudits for their win over Saracens, Steve Borthwick also deserves some acclaim. Quite how he got through the whole Heineken Cup final after being rated just 50:50 for the match earlier in the week, only he knows. If rumours are to be believed, he will be Japan's new forwards coach and they will reap the benefits of his incredible attention to detail on set pieces. Borthwick is one of rugby's great unsung heroes and even though he is approaching the last few final moments of his playing career, he is still playing through pain barriers. Northampton had another gear in the closing stages of their Amlin Challenge Cup final win over Bath. When Bath looked to be flagging, the Saints found a quicker tempo with Stephen Myler kicking them all over the field. Next weekend's Premiership final should be an intriguing battle. Questions will be asked of Saracens after their bruising loss to Toulon on Saturday while the Saints will have a strut about them following their win over Bath. Dylan Hartley looks set to be fit for the match on Saturday and his return could galvanise Northampton to their first Premiership crown. Japan - a rising force? Following Japan's win over Hong Kong, their coach Eddie Jones called on his team to qualify for the quarter-finals of the next World Cup. Their captain Michael Leitch admitted the squad would have to raise their game for that to happen but it would be great for the international game as a whole if they made history at the next global gathering. To make that a reality, Japan will have to qualify from a group featuring South Africa, Scotland, Samoa and the USA. Wasps will be back in the big time next season after beating Stade Francais in their two-legged European Rugby Champions Cup play-off. When they narrowly edged Stade 30-29 at their Adams Park home, it looked like Wasps would struggle in Paris in the return leg. But to the contrary, Wasps left points on the field in their 20-6 win and outclassed Stade in every area of the game. At times it looked like Stade were more concerned with beating up their opponents than winning but Wasps kept their collective heads and some impressive recruitment ahead of next term, it seems Dai Young is slowly mixing together a winning formula, but don't expect him to get carried away. "We haven't won anything and next season will be a massive challenge for us," Young said post-match. "We have a lot of work to do this summer." As a World Cup-winner and one of rugby's most recognisable players, Bryan Habana should have known better than to bring an element of amateur dramatics into the Heineken Cup final when he flopped to the ground following Owen Farrell's nudge in the second-half of the game. Habana has since, correctly, apologised for his bit of play acting so he deserves some praise for that, but it should never have happened in the first place. Referee Alain Rolland admitted at the time "it was a bit of a dive" and should not have awarded Toulon the penalty. Let's hope it was an unfortunate event that will not be repeated again.